Ahhh! It was so fun to have two guest hosts, Mark Wright from the Blog Lawyer and Cynthia Bee from the Conservation Garden Park, who attended our Podcasting 101 session at the SNAP Conference. Thanks to everyone that came out to learn! 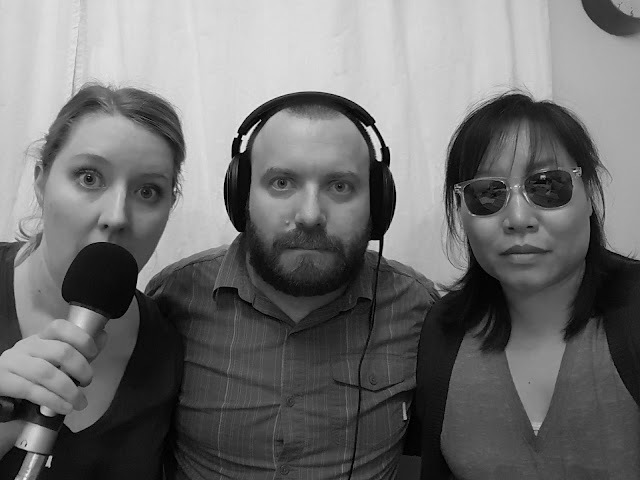 We had some scheduling conflicts with Sharon, so Winter is joined by her hubby, Lee of Bee's Knees Waffles. Woot woot! Winter loves Diet Dr. Pepper, and Swig made a version with raspberry puree and coconut creme (you may be able to achieve it with this also) called Raspberry Dream. If you're in Utah, try it! And if you're not in Utah, you should try their sugar cookie mix--it's ridiculous! Lee claims he is fat and hairy, which results in more salads being eaten at this time of the year, especially with this yummy Caesar salad dressing, Cardini's. Welcome to Melissa Bahen of Lulu the Baker and author of Scandinavian Gatherings! 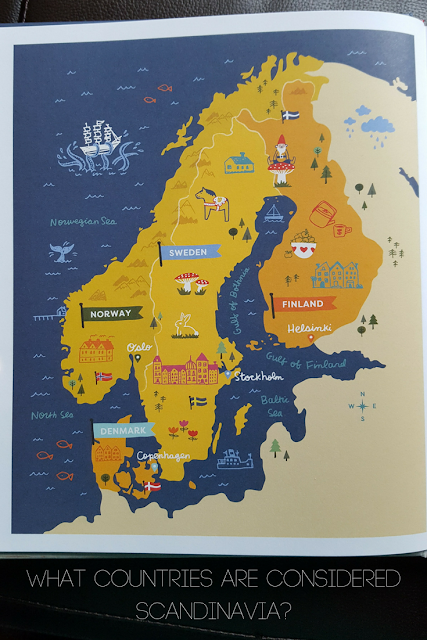 Scandinavian vs Nordic countries: Technically, Denmark, Sweden, and Norway are Scandinavian, while Finland and Iceland can be considered more Nordic. Pickled herring--is it a red herring? Fishing is a major part of their landscape and economy. Lingonberries only grow in arctic and sub-arctic regions. And you can get two harvests from one plant. As we talked about hygge in a previous episode, we wanted Melissa to expand how the book came about. It was because of her grandfather--the idea man. She wanted to do a book all about gatherings as mentioned in the Little Book of Hygge. People saying Rod Grode med Flode (raspberry pudding) on Youtube. Can you say it? 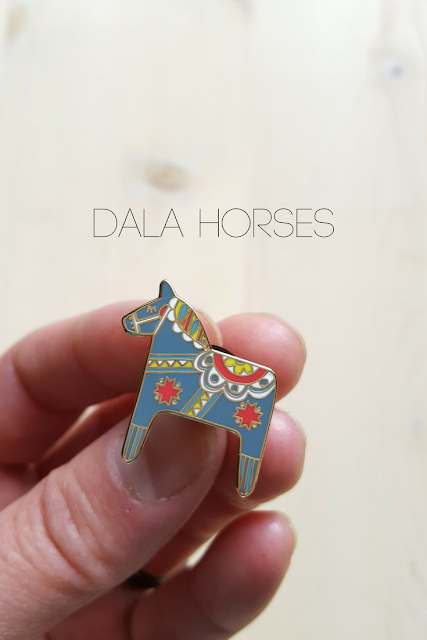 What is up the wooden Dala horse? Dalarna, a region in Sweden, has these horses and were important animals back in the day. Woodland Tea Party Gathering was inspired by the magical nature of Scandinavia. Think fairy tales! Skansen, the outdoor cultural museum, was where Melissa's mom had this lovely chopped summer salad with a very different type of dressing. A very common Scandinavian condiment is called mangoraja--mango and curry flavoring. Why don't we have fika (or break in the middle of the day) in the US? Though we don't have it, it's starting to gather steam as evidenced by Ikea offering fika and this coffee shop in New York City. Nordic tradition calls for split pea soup is served on Thursday. And they have Swedish pancakes. It's warm and comforting and a tradition. Cookies play a big part in Scandinavian tradition. If you're worth your salt, then you have to make at least 7 different cookies during the holidays, since it was a special occasion. Any cookie made on a waffle iron are the way to go! Crumcacull cookies are cooked on a thin press. Her cookies aren't necessarily Scandinavian, but rather Scandinavian-inspired! Did you know that there are crafts in this book also? They are SO cute! A photo of the roofline in Nyhavn taken by her friend at This Little Street, inspired one of Melissa's favorite crafts. (By the way, the picture of Nyhavn above was used courtesy of Keyra Kristoffersen of Photography by Keyra and @photographybykeyra). Cakes are very minimalist, that are very Scandinavian design in general. Less is more, simple, and focused on the flavor. Did you know...Melissa didn't do a majority of the photography, but she did all the step-by-step process shots in a rather meticulous manner? 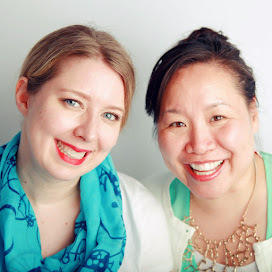 Giveaway and discounts: Melissa is giving our readers 20% off at her Etsy Shop if you enter the code HUNGRYSQUARED till the end of May 2017. 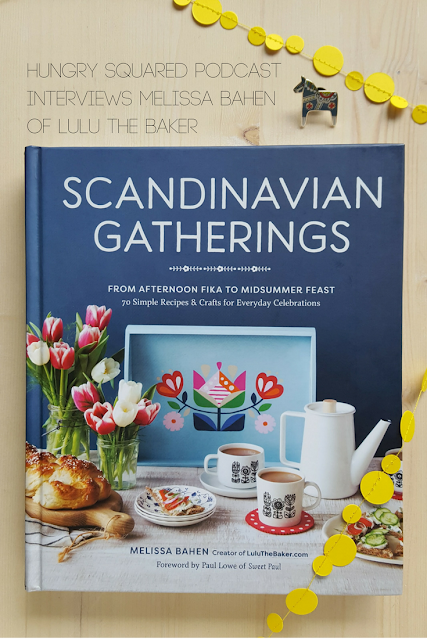 Go to the Hungry Squared Instagram for details on our giveaway for a copy of the book Scandinavian Gatherings--contest ends on Friday, April 28, 2017 at 11:59 pm. Winter and Lee help a Food Fight listener figure out what to make for a meeting with the parents. Lee says steak and potatoes, and Winter says fondue or hotpot. Don't offer frozen burritos. Pea soup on Thursday has been a tradition dating back to pre-Protestant times in Sweden, I noticed you provided a link. Another interesting fact about pea soup is that it was used to murder King Eric XIV in 1577.